Women are the fastest growing prison population in Canada and around the world. 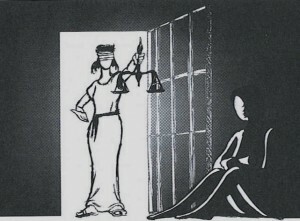 The global Smart Justice movement is calling for an end to the imprisonment of women who pose no risk to public safety. These calls come in part to save millions of dollars on costly prisons and jails, but also to address the long term benefits of community-based approaches that focus on the root causes of crime and victimization of women. Provincial, territorial and federal heads of corrections in Canada have agreed that we need to reduce our reliance on prison. In the mid-90s they opined that as many as 75% of those in prison could be released to the community without any corresponding increase in risk to public safety. It currently costs from $185,000 to more than $350,000 per year to jail a woman in the federal system, compared to approximately $35,000 in a supervised community-based setting that would not disrupt housing, employment, social assistance or child custody. Furthermore, community-based prevention and sentencing options are more effective than prison in promoting public safety. Smart Justice sees the high price we pay to lock people up despite the evidence that community-based prevention and sentencing options are more effective than prison. We cannot ignore that the majority of women who are criminalized and imprisoned are mothers. When they are sentenced to prison, their children are sentenced to separation. Smart Justice understands that people have a better chance of success if they receive supervision, training and support opportunities in the community. It sees that women who are imprisoned are among the most disadvantaged in the country: they are women with histories of abuse, poverty and marginalization who do not have adequate income, housing, medical, educational or other fundamental supports. As part of the legacy of colonization and subsequent historic trauma of Aboriginal people in Canada in particular, it’s no surprise that Indigenous women are over-represented in the Canadian criminal justice system. Fully 91% of incarcerated indigenous women had experienced physical and/or sexual abuse prior to prison; more than one third (34%) of women serving federal sentences in Canada are Indigenous, as are 50%, 70%, 80%, even 100% in some provincial and territorial jails and remand centres. Sadly, more than 20 reports, investigations and commissions of inquiry have chronicled the urgent need for oversight and accountability mechanisms to address the human rights violations of women prisoners in Canada—with no result. Moreover, the United Nations has denounced Canadian policies that result in more Canadian women living in poverty; they recognized that the federal government’s 1995 decision to change provincial funding, accompanied by social program funding cuts, contributed to persistent poverty—particularly among Aboriginal women, women with disabilities, women of colour and immigrant women. The Correctional Investigator has repeatedly called on the government to address the needs of those with mental health issues in the community, rather than continuing to abandon them to prisons with very limited access to vital supports and treatments. But rather than building accessible and affordable spaces in our schools, hospitals and neighbourhoods, Canadian governments are building jail cells. At a time when fiscal responsibility is at its height, the only system that is not closing its door to the most marginalized people in our communities is the criminal justice system. We must push municipal, provincial and federal governments to restore or develop sorely needed housing, social assistance, supportive women-directed counselling, educational and advocacy services, and facilitate access to them. We must demand that a large proportion of the costs associated with enforcing criminal laws in Canad be invested in crime prevention, education and community initiatives, thereby opening up the doors to a smarter justice for us all. Gilfus, Mary. “Women’s Experiences of Abuse as a Risk Factor fro Incarceration.” 2002. On line: www.vaw.umn.edu/ in Shoshana Pollock. “I’m Just Not Good With Relationships”: Victimization Discourses and Gendered Regulation of Criminalized Women. Feminist Criminology: Waterloo, 2007 at 158. Public Safety Canada, Corrections and Conditional Release Statistical Overview 2010.